With security on the rise after installing the hood locks, it was time to take it to the next level. An alarm system would help to deter thieves from entering the passenger compartment and trunk, leaving the hood locks to do the rest. The weak point of any alarm is it's power supply and/or siren. If you can disable either of the two, the alarm is useless. 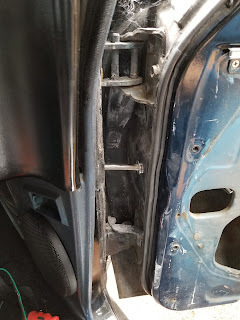 With the hood locks engaged, it would require some good prying/hammering to get into the engine bay to disconnect the battery or snip the siren wires. That same prying would set off the alarm and likely cause most to flee. Obviously if someone is really determined and has a good plan, they will defeat anything and your car is broken or gone. The alarm install consisted of two parts. A manual to power lock upgrade for the key-less entry and the actual alarm module wiring. Sodial "heavy duty" power door lock actuator kits were installed in the doors and a Pyle PWD701 Alarm System under the dash. 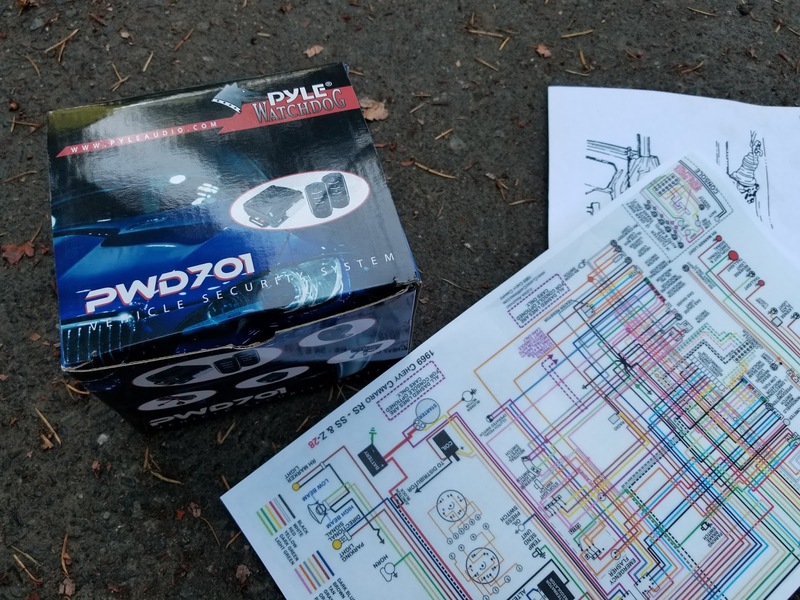 The The whole package, with relays was about $45US. Overall a very fair price for a sense of security. Even without the security, having a fob to lock and unlock your doors is a nice modernization in itself. The trick to installing the actuators is to ensure the full up/down motion is unobstructed. You have to make sure you have a fairly straight shot from the actuator to either the door lock rod, or a mounting point on the lock assembly. If you watch the video below, you'll get a good look at how our actuator rods were mounted to the lock rods. Once you have one installed you just need to run the two wires to the passenger compartment. If your vehicle is like Turbo Camaro, then you won't have an easy path to the passenger compartment. We installed a pair of Keep It Clean Stainless Steel Billet Door Looms. They did a great job of shielding the wires from the door jamb and they add a modern industrial look. There are other brands available but Keep It Clean offered the best price point at about $35US. Once you have the door actuators in and wires through the looms, you can get your door relays wired up and hook it all up to the alarm. It's important to mount the siren in a location under the hood where it will remain loud, but not be easily accessed from outside the vehicle. A wheel well or high spot on the firewall usually works well. It's also a good idea to secure your alarm system module in a location not easily accessed by an intruder. Mounting it to your steering column or beside your fuse box is fairly obvious. 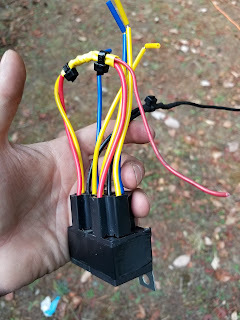 You can get creative with this as there's no reason why it couldn't go above the glove box compartment or in the trunk, if you have the wire length for it. The shock sensor can be mounted to any central solid point as the alarm is already screaming by the time it's found and by then it won't matter if it's ripped out. Overall the parts used for the Power Lock Upgrade and Alarm System are fantastic and the install went smoothly. The key-less entry feature is worth weather you enable the alarm or not.